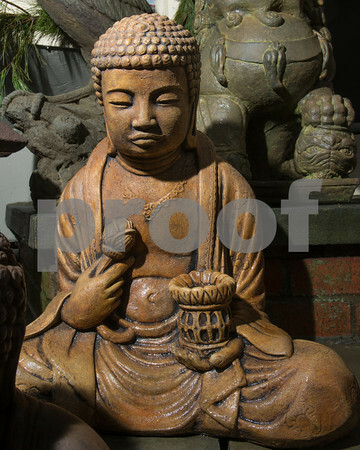 This Buddha holding a lantern seems to know that gardening can be very a zen activity. He is 19 inches tall, 15 inches wide and weighs 47 pounds, $149.95. Asian Inspiration Gallery, 7 Bearskin Neck in Rockport, 978-290-7087, asianinspirationgallery.com.